All Library branches will be closed Sunday April 21st , regular hours will resume on Monday April 22nd. The Central and Unser Library is located on Central Ave just west of Unser Blvd, next to the Central Unser Transit Station. The Central and Unser Transit Center is directly to the north of the library. Routes #54: Bridge/Westgate, #66: Central Avenue, #198: 98th/Dennis Chavez, and #766: Rapid Ride Red Line all serve this location. Plan your trip here. Driving on I-40, take the exit NM 345 S onto Unser Blvd. Drive southbound on Unser for approximately 3 miles. Turn right onto Central and make an immediate right. Drive west on Central Ave. Take the first right just past the intersection of Central and Unser. Central and Unser Library has two meeting rooms. The Community Room holds a maximum of 100 people and the Lawrence Charles Vargas Children's Activity Room holds a maximum of 40 people. Policy, rules and required forms for using the meeting rooms may be found at Meeting and Study Rooms as well as a list of meeting rooms at other branches. To view availability online, see our online booking form. Central and Unser Library has 3 study rooms that will hold a maximum of six people each. The study rooms may be reserved (call 768-4320) up to one week in advance for no more than two hours per person/group a day. Check in at the Information Desk with your library card to gain access to the study room. See additional information about our ongoing and special events by viewing our full event calendar. Join in the fun with stories, songs, puppets and more that encourage development of early literacy skills in young children, using the guidelines from the Every Child Ready to Read program. Weekly Preschool Storytime is targeted for ages 3 - 5. Join this interactive storytime with your child that includes early literacy fun with books, songs, finger plays and body movement. Join us for adult coloring on the 3rd Friday of every month! We provide adult coloring pages and supplies to relax for an hour of creativity. This event will be a kid-free zone! ​Walk in computer help, no reservations needed. Each month we will something fun to do, including: crafts, make and take creations, games, movies, and stories. Come and unleash your imagination and discover what we have planned just for you. You might be watching a movie, creating something crafty, or winning a video game tournament. Central & Unser Library Presents: Sunday Movies! Come to Central & Unser Library and watch a free showing of a movie. Be sure to call the library at 768-4320 to make sure a movie is showing this Sunday. Join us for fun crafts, music, games, and more! For ages 3 - 8. Central & Unser Library is now open. April 18, 2015: Grand Opening! View images from our Grand Opening Celebration on the Library's Facebook page. December 2014: The building is on schedule to open in early spring of 2015! This is great news and thanks to the dedication of the construction staff, the architects and the City staff working on this incredible new library building. Construction work is in the final phase and should be complete in a few weeks. Once the building gets approvals on all inspections and receives a Certificate of Occupancy, there will still be a long list of items to be corrected or finished—the ‘punch list.’ That work needs to be complete in this 25,000 square foot building before installation of furniture and shelving can begin. We also continue work on hiring and training the 13 new staff that will be required to open this building. A public library is a wonderful, multifaceted space where so much happens every day. The Westside Community and everyone working on this project is so proud to be creating such a great public library space for the citizens of Albuquerque! Councilor Ken Sanchez secured the majority of funding from City GO bonds, as well as working with the State and Bernalillo County to provide additional funding to help bring this project to fruition. I also want to recognize again the incredible private contributions that have made construction of this building possible. 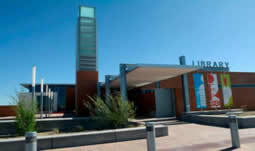 Donations from the Freedman Trust, the Albuquerque Library Foundation and many other individuals paid for almost 15% of total construction costs. Looking forward to the spring! July 2014: Construction on the new Central & Unser Library is at the midway point. There has been lots of visible work in the last couple of months as the steel structure went up and the walls started to be framed in. Once the exterior is enclosed, work will begin on all the detailed interior fittings of wiring, plumbing, ductwork, floors, lighting and finishes. The project is still on schedule with an opening in the spring of 2015! October 2013: We are about to see work start on a new library to be located at the intersection of Central and Unser. The contractor has been selected and the 13 month project will break ground in early December. Expected opening will be spring of 2015! This will be a state of the art, full service library with plenty of community meeting spaces, study rooms, and computer access, as well as being a comfortable place to browse our collection of books, magazines, music, movies and more. With the building nearing the start of construction, we are now ready to begin securing funding for the equipment and furnishings of this exciting new library. Stay tuned for more details. Get computer help, in Spanish and English, every Thursday from 4-5 pm. First come, first served with no registration. Bring your own computer or device, or use one of you Public PC hours. Learn more about computer classes at the Public Library. 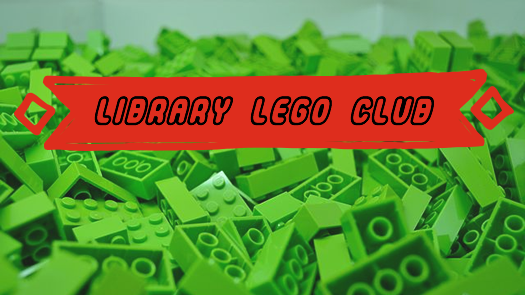 Participants must have a library card in good standing. Join us at Central & Unser Library to enjoy a free showing of a movie every Sunday at 1:30 p.m. Check our events calendar for movie titles and ratings.